In 2004, I earned a bachelors degree in Sport Management and a minors in Business. After realizing that I was similar to my mother, Mary Ohlinger-Pray, in more ways than one, I switched gears and earned a masters degree in 6-9 Montessori Education from Xavier University in 2008. In the last 7 years, I have worked as a teacher at a Charter School in Bond Hill, a teacher at Pleasant Ridge Montessori, an assistant teacher at Sands Montessori, and as a teacher at Sands Montessori. This past school year, I took the year off being a stay-at-home mother as we had our third child, Julianna Bollmann, in September 2014. My husband of 6 wonderful years, Eric Bollmann, also have a 4 year old boy, Michael, and a 3 year old girl, Clara, who will be attending TNSM this upcoming school year. I am so incredibly thankful and excited that my 2 older children and I will be joining the TNSM family. I am a true believer that all children can become peaceful, lifelong learners, and establish a thirst for knowledge throughout their lives that will only help them become happy, and positive, members of society. It is our job as educators to help open that door for them and encourage them to discover their true potential as unique individuals. 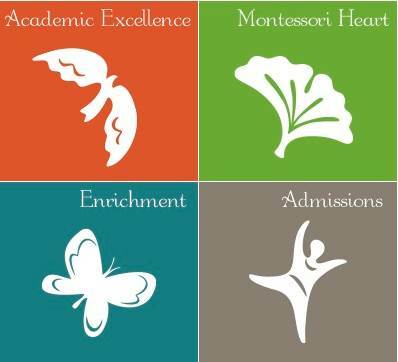 TNSM is an amazing example of a true Montessori school that helps accomplish these goals, and I am proud to be a part of this incredible school.